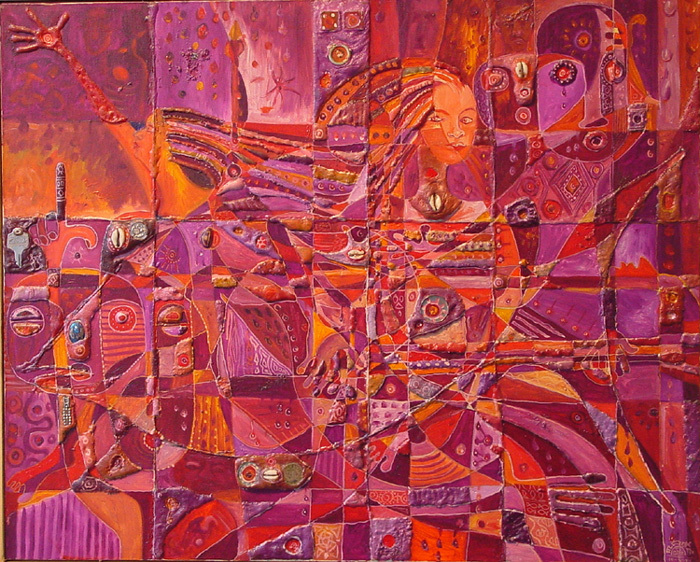 S. Nzante Spee (1953-2005) was a Cameroonian artist. 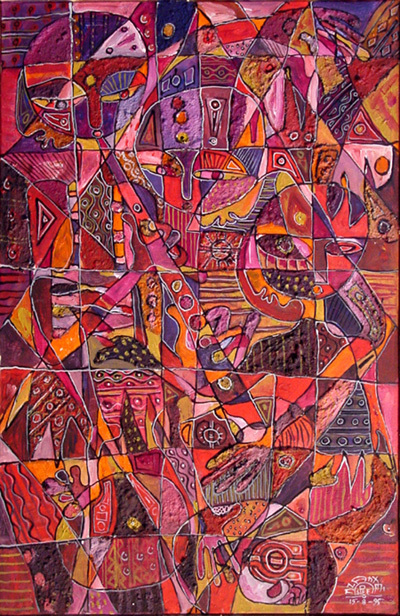 Born in Mbem, Cameroon, he began his artistic career by painting signs and façades for local businesses. In 1976 he began to study fine arts in Nigeria and Côte d'Ivoire and by the time he finished in 1982 he had already made a name for himself as a great talent. In the following years he won a number of awards in Africa and began participating in international exhibitions, particularly in France. Spee became an influential figure in Cameroon, where he had to fight to make a place for himself as an artist in society. He has inspired countless young artists in Cameroon to pursue their work. 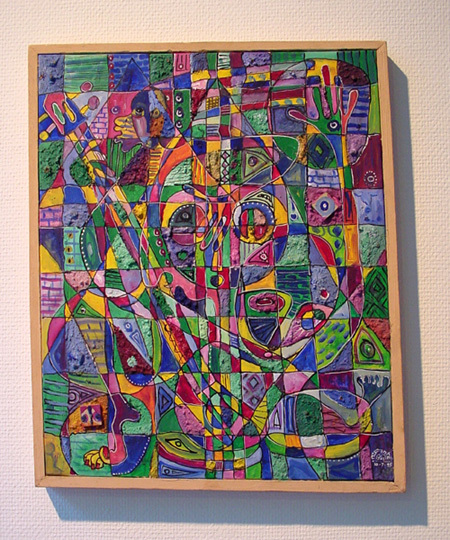 Spee's particular style combines elements of traditional African art with European styles, especially Surrealism and Cubism. Spee's work is inspired by music and movement with bright colors that show the intense ecstasy with which he experienced the world. The Wahdoosee Question is exemplary of Spee's style. 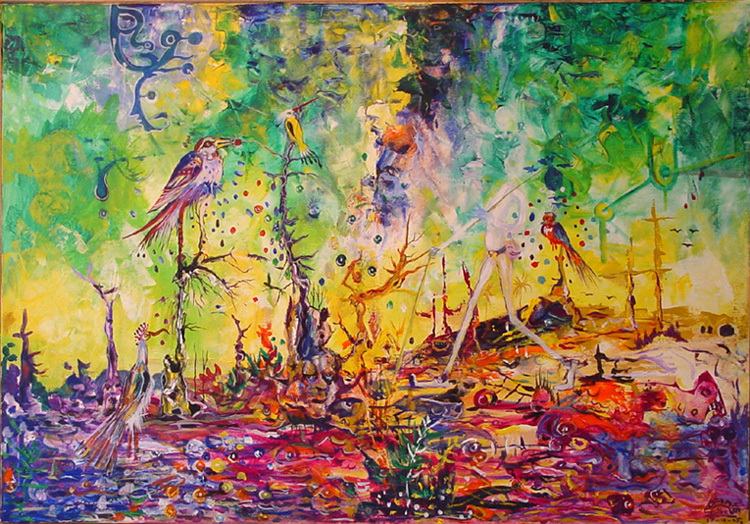 There is intensely surreal imagery presented, with bright birds and distorted people populating the space. Faces hang in the bright green sky and shapes that seem almost identifiable blanket the ground. This is an imposing painting, whose brightness and complexity make it difficult to read but highly intriguing. 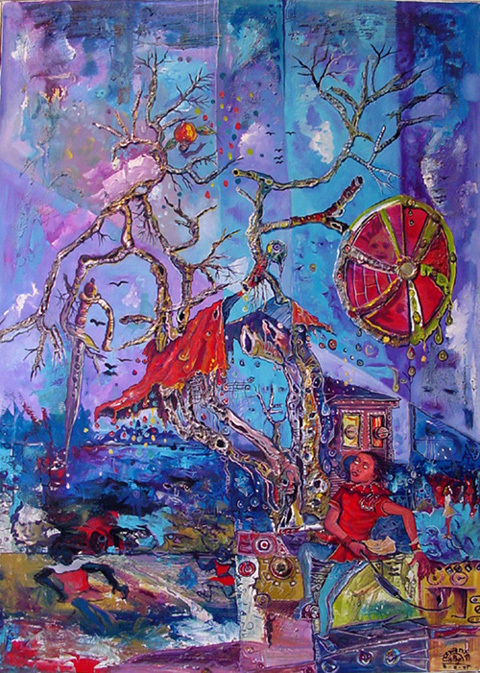 I find the painting powerful and effective, giving us a glimpse of how Nzante Spee saw the world.